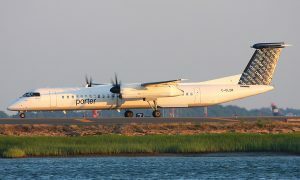 Porter Airlines arrived today in the ‘Gateway to the North,’ with its inaugural flight to North Bay, Ont. 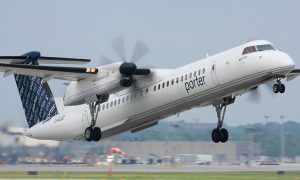 Passengers enjoyed non-stop service from Billy Bishop Toronto City Airport (BBTCA) to North Bay Jack Garland Airport. A second route featuring service between North Bay and Timmins, Ont., also begins today. Both routes feature one daily round-trip flight.